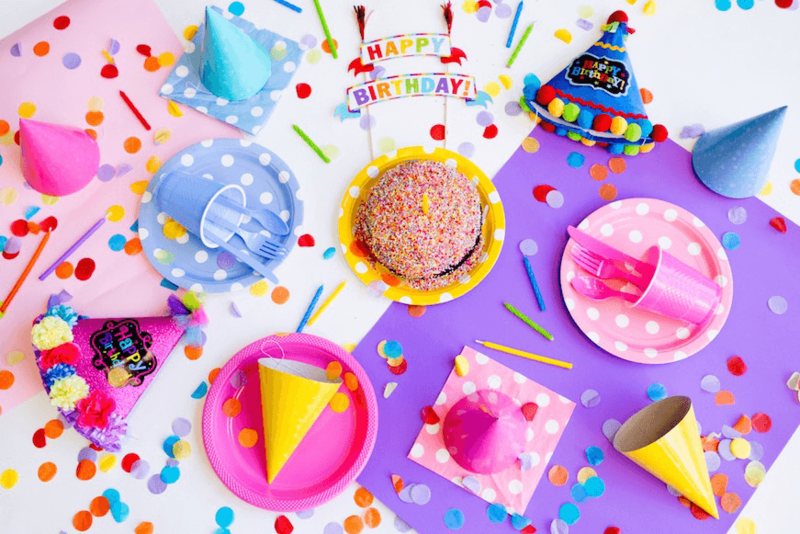 The elements that compose a good birthday party are different for everyone – some parents look to simplify the whole story as much as possible, while others plan every detail for months, looking for new and original ideas. Everyone has their own idea of fun! However, there are some basic things, without which a child’s birthday cannot be imagined. Regardless of whether you plan a child’s birthday for several months or only a week (although we suggest at least a little bit more). Use can also use our low-stress-party-planning system to make sure you remember everything and you meet all the deadlines. When researching a birthday party venue, it’s important to know what you and your child want. 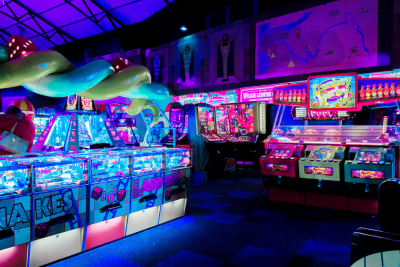 Venues vary from simple function rooms to full entertainment centres. To help you decide, we’ve listed the benefits and downsides of each option. If you’re not having the party at home, bring a box or a case to put the open presents in. You don’t want them to go missing on the very first day! Are you hosting the party at home or in a venue? Find a date that works for most people. Choose a time and the length of the party. Do you need to organise carpooling with the other parents? Do you need extra tables and/or chairs? If needed, ask guests to bring some as well. If you rent a venue, will you have access to a kitchen? Do you want to host kid’s party to be outside? If the birthday in the spring, summer or early autumn, having the party outside is something you can consider. However, you will need to plan the appropriate catering and safety measures. If you’re planning on booking a venue, make your reservation sooner rather than later. Children entertainment centres are extremely packed on weekends. After the venue, it’s time to put together your guest list. The size of the party will depend on your kids’ age, personality and what his or her personal preferences are. All the important details (place, time, theme, […]). Do you want a small or a bigger party? Do you want to invite your friends and family or just your kids’ friends? Should you send thank-you notes after the party? Plan 3 weeks for the invitations. Any more and they will get lost; any less and the guest will already be busy. You know where you will be partying and who is coming, now is the time to choose your party theme. 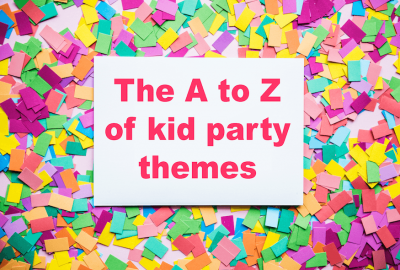 To kick-start, your creativity, view this A to Z of kids’ party themes. Do you need/want an outfit or costumes? Outfits that match the party theme are a great way to set the party atmosphere. However, keep in mind that the children need to feel comfortable. Make sure the outfit doesn’t get in the way and that the type of material is appropriate to the weather. If you’ve chosen a ‘dark’ theme, such as vampires or zombies, don’t get too scary or too realistic for young kids. The most important element of the party is the atmosphere. It should be fun and full positive energy. Entertainers and activities play a crucial role here. Games and activities that match the party theme. A music system. Unless you’re planning a kids’ disco party, a simple one will do. Should you hire a kid’s entertainer? For example, a clown or a kid’s magician? Do you want entertainers with special equipment? 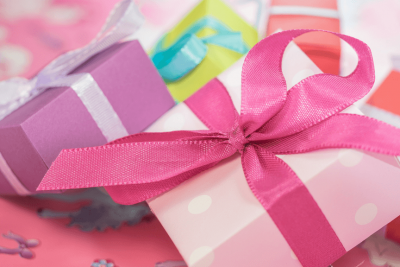 Perhaps you’re interested in hosting a sporting birthday or a pamper party? Is there something for everyone? For example, some children are afraid of noisy animations while others will adore them. A lot depends on age and temperament. Make sure the activities are age appropriate. Don’t stretch activities out for too long. 15 to 20 minutes is ideal. Everyone always eagerly awaits that special moment: bringing out a cake. However, don’t overlook the rest of the food and drinks. When buying or making the cake, keep in mind that the size and, therefore, the weight of the cake should be proportional to the number of guests. Additionally, if you’re also serving a full meal, the kids will likely eat less cake. Don’t worry, the other parents will be delighted to try it when they pick up their kids. A disposable paper or plastic tablecloth. Remember, it likely won’t survive the day! Are you having a full meal or just the cake? Does the food contain frequent allergens? In a perfect world, it’s nice to avoid ingredients such as peanuts, in order to prevent any unwanted reactions. Will the flavour of the cake appeal to all the kids? If possible, choose a cake the will be enjoyed by the majority of the guests. To what extent should the cake be decorated? The birthday child will probably have his or her opinion on the matter. After the cake, kids will generally have a sugar high and then run out of energy. That is a good time to end the party; Plan accordingly. In order to keep your kids celebration remembered forever, pictures are essential. Nowadays, phones have an amazing camera built in. However, if the lighting is bad, a traditional camera will serve you better. A designated photographer. This could be a friend or family member. If you decide to hire a professional photographer, you need to find an adequate one. Some photographers specialize in children’s birthday’s parties. These are generally better at capturing the important moments. Don’t try to be the photographer yourself. You’ll be busy with the guests. Instead, choose one of your friends or a professional photographer. Don’t transform the party into a photo-shoot. You’ll get the best party pictures from the candid moments. Candles? Depending on the age of the kids and the party theme, candles might look nice. Proceed with caution! Do the children need metal cutlery? We’ve all splintered plastic cutlery before. If you aren’t just planning finger food, consider whether the kids will need metal cutlery. Confetti. They make cleaning exponentially more difficult. Pinterest browsing. When looking for ideas, Pinterest is amazing but it will make your time disappear. The sooner you get into planning your birthday; the happier everyone will be. Whatever options you choose, don’t forget to be in a good mood and relaxed. Smiles are an inseparable part of a good atmosphere. Your child will remember the decorations on their birthday cake, the games and the good times but it’s even more likely that they will remember all the smiles on peoples faces.